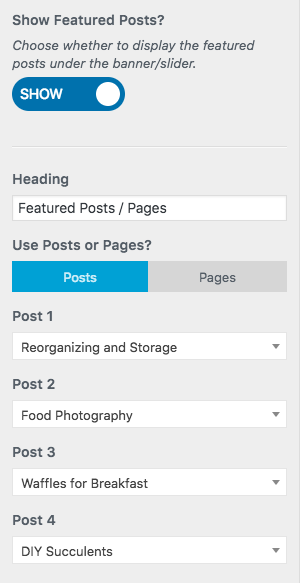 In order to show Featured Posts or Pages on your front page, go to Appearance > Customize > Front Page > Featured Posts / Pages. 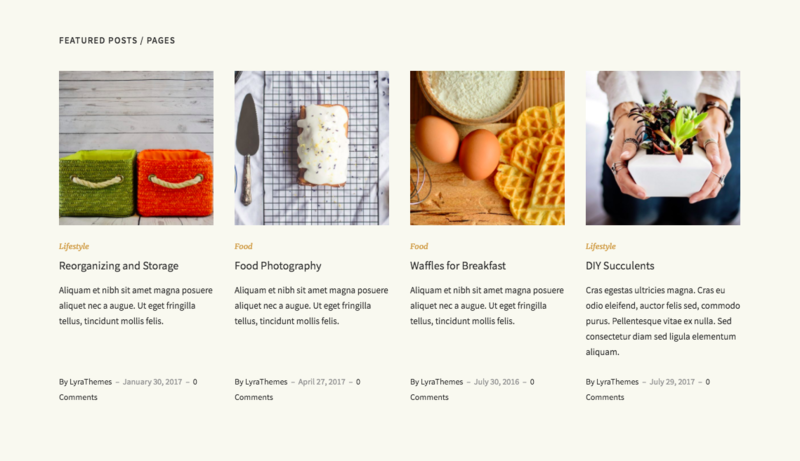 In the free version of Ariel, you can choose to display four posts in a Featured section, right below the banner/post slider on the Front Page. First you need to make sure the Featured section is enabled, then you will be presented with a list of settings. 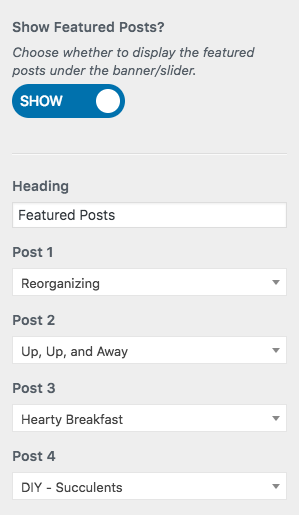 You can choose a heading, and select four featured posts using dropdown menus. In Ariel Pro, this functionality is extended to enable displaying featured pages as well: you can switch between showing either posts or pages.